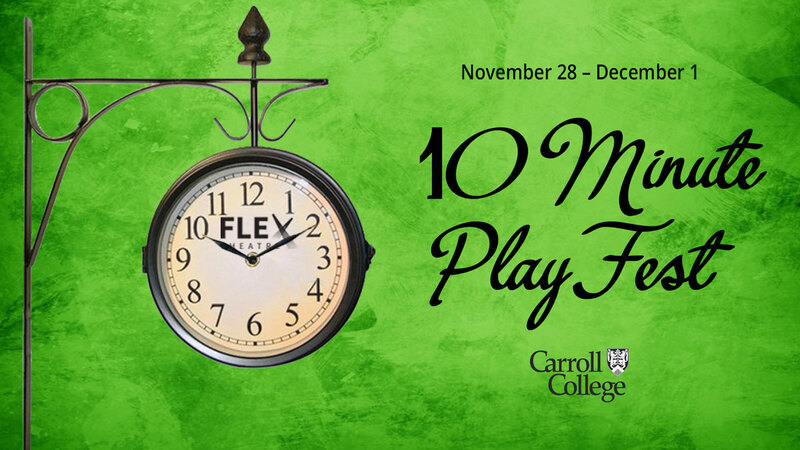 HELENA – The Carroll College Theatre Department is pleased to announce "Can We Talk,"a festival of 10-minute plays that will run November 28 – December 1, 2018, in the Flex Theatre in the lower level of the Carroll College Campus Center. "Can We Talk" operates as a showcase for the theatre department’s directing students under the tutelage of Assistant Professor Kim Shire. “Can We Talk” features eight works, all by female playwrights. While each play was written by a different author, they are thematically linked via the topic of communication. The plays include: The Suitors by Pamela Jamruszka Mencher, directed by Deaundra Shackelford; I Do, You Die by Carrie McCrossen, directed by Mildred Osborne; Julia Johnston’s A Certain Age, directed by Meghan Hanrahan; Duet for Bear and Dog by Sybil Rosen, directed by Ross Peter Nelson; Deanna Alisa Ableser’s Alexander and the Yellow Rotary Phone directed by Mitchel Wheeler; Mickey Cares by Mia McCullough, directed by Kavida Naidu; and Professor Shire will direct both Holidazed by Julie Johnston and Bonnie Culver’s Auto-Mated. Over three dozen Carroll actors will be featured in “Can We Talk.” Performances will be at 7:30 p.m. November 28 – December 1. Tickets are $10 for general admission, $8 for students and seniors, and $4 with a current Carroll College ID. Tickets are available at the door or online at the Carroll Theatre Online Ticket Storefront. Parking is free in the Campus Center lot off of Lyndale for all performances. The theatre is fully ADA accessible through the east entrance of the Campus Center.